One of the great things about working at Paper Source, with tons of creative people, is the ability to celebrate our friends and co-workers’ life moments in meaningful ways. With baby showers, especially, it’s always fun to think of themes that really resonate with the mom-to-be. 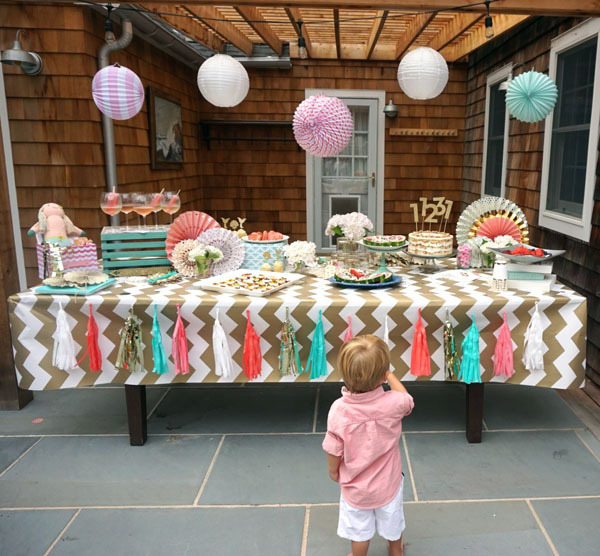 For this baby shower, we knew we wanted to have a celestial-themed bash that coordinated with her nursery motif. Since we’d already thrown one “stellar” baby shower, we wanted to make this one unique. We started by calling it a “meteor” shower with an emphasis on planets and the solar system. It’s probably no surprise that we love celebrating here at Paper Source. When a fellow co-worker is having a big life moment, we see that as a great opportunity to create an event that perfectly matches their character with crafted and personal touches. We recently threw a baby shower for a member of our web team, Kristen, who has been with Paper Source for years. 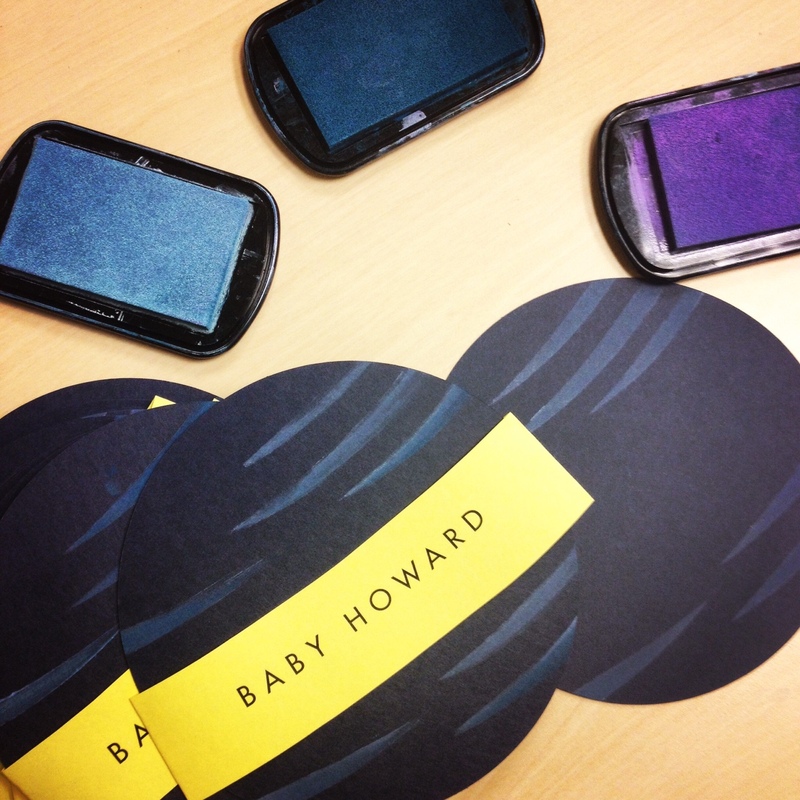 Kristen was expecting a baby boy, but also appreciates a subtle and sophisticated aesthetic. Because of that, this shower theme could easily be used for a boy/girl/gender neutral shower by simply using a different accent color. Here’s a look at some of our favorite touches. 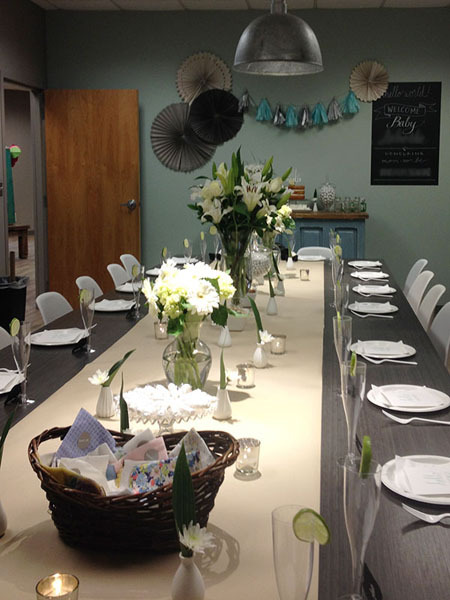 We decided to hold a baby shower luncheon in one of our meeting rooms in the office. In order to make sure it felt intimate and inviting, we got rid of phones and cords, and added a Paper Bag table runner and D.I.Y. floral arrangements for a sweeping tablescape. In need of a unique baby shower gift or an extra special touch to your own nursery? Try these adorable paper hot air balloons! They make for super cute decor and an eye-catching mobile. Out of this World Baby Shower + Ice Cream Sundae Bar! At Paper Source, we love baby showers, and none was more special than one we recently hosted for our favorite Paper Source couple: Karen, creative director, and Sean, inventory control specialist. With help from the talented Design team, we pulled together a wonderfully sweet celestial celebration. Our first step is always to come up with a great theme. Karen and Sean pointed us in the right direction by revealing that their nursery would have a constellation theme with colors of Night, Poppy and Gravel. And, like many a mom-to-be before her, Karen was constantly craving ice cream. 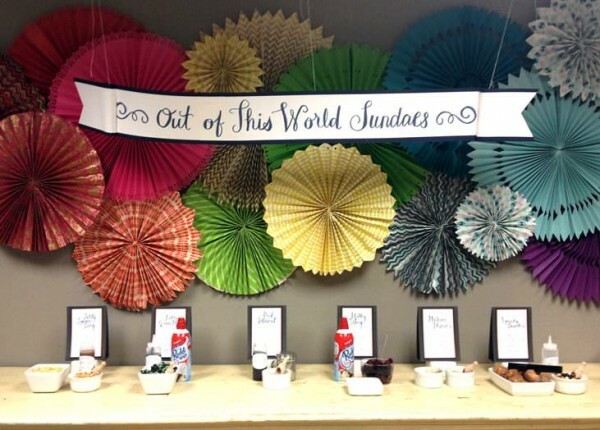 Perfect!…a space-themed baby shower featuring tasty ice cream treats. 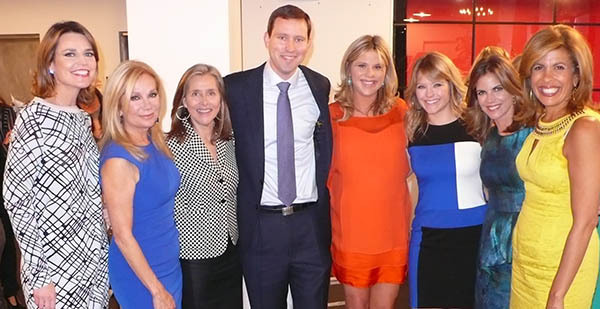 Earlier this month, TODAY Show correspondent Jenna Bush Hager and her soon-to-arrive firstborn were honored by the NBC family. Her NBC co-hosts and friends threw a book themed baby shower at the Peter Callahan Catering Studio in New York. 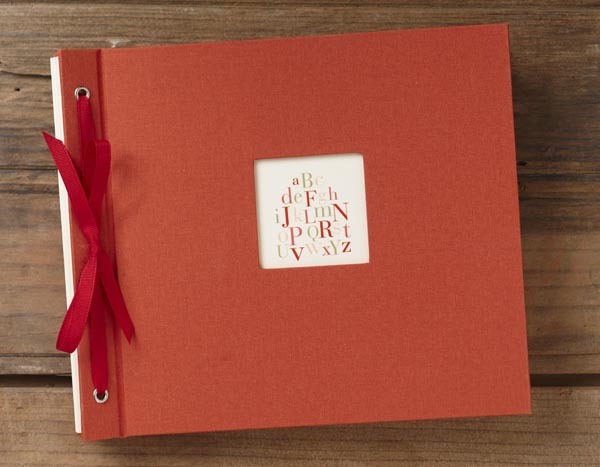 With a theme centered around books and words of wisdom, the event included a few key accents from Paper Source. 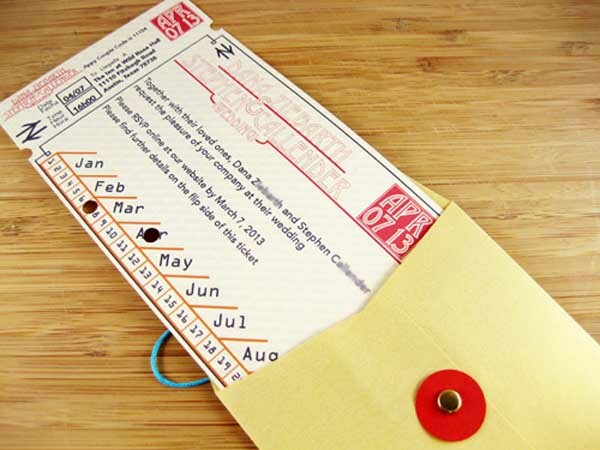 When planning our ABC baby shower for CEO Sally we wanted to create a keepsake for baby Ella. Using a Kolo album the team pooled creative talent to turn our ABC theme into a baby book that showcased the alphabet through the creativity of Paper Source associates. The book ended up being more than any of us imagined it could be – a wonderful project for all who participated and a special keepsake for Sally and her family. Here are just a few pages from this colorful and inspired book..
We love to celebrate life moments with our coworkers and friends, and a baby shower for Paper Source CEO Sally Pofcher was certainly an event worth recognizing. But how do you create an event that is as inspirational and creative as Sally herself? Luckily, we have no shortage of talent!